Fashion is a trillion dollar global industry. It was estimated at $1.7USD trillion in 2012 and employs 75 million people globally. Fashion is rich and diverse in its culture, expanding itself into each corner of the world. Fashion is a difficult concept to define as it represents something different for each and every individual in the world. Fashion is interrelated with image and the way which we are perceived by the world and perhaps more importantly, the way which we would like to be seen. This means that we can associate ourselves with a culture, hobby or passion and enables and facilitates communication. There are thousands of influential people within the fashion world, as it combines not only designers, but photographers, artists, choreographers, directors, editors, journalists and many more. 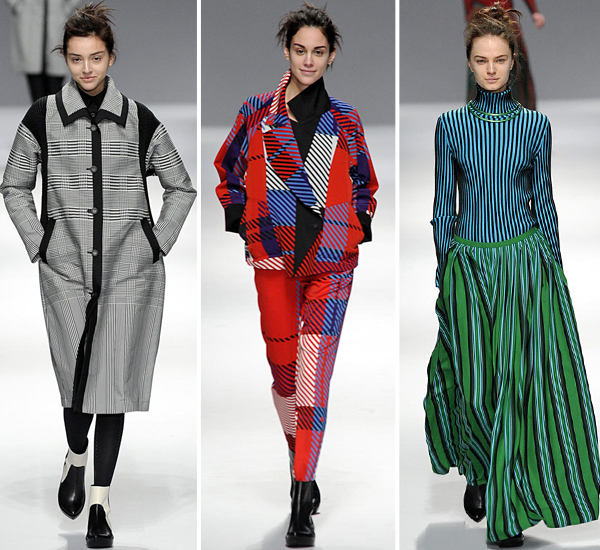 Issey Miyake is an exceptionally well-known and highly regarded designer who was born and resides in Japan. He is well known for his avant-garde, technology driven, Eastern designs. Interestingly his choice of models are predominantly white Caucasians, which suggests that he is designing for this market. He refrains from public attention and it does not appear that he receives paparazzi or forced media coverage. For a designer, this is a positive thing, as they are representing their own label and their actions can directly affect sales of the product. NB: An important client of Miyake’s was Steve Jobs who had Miyake personally design his signature black turtle neck shirt. On the other hand, Alexander Wang is another high end, well known American designer from a Taiwanese diaspora, who receives copious media coverage. 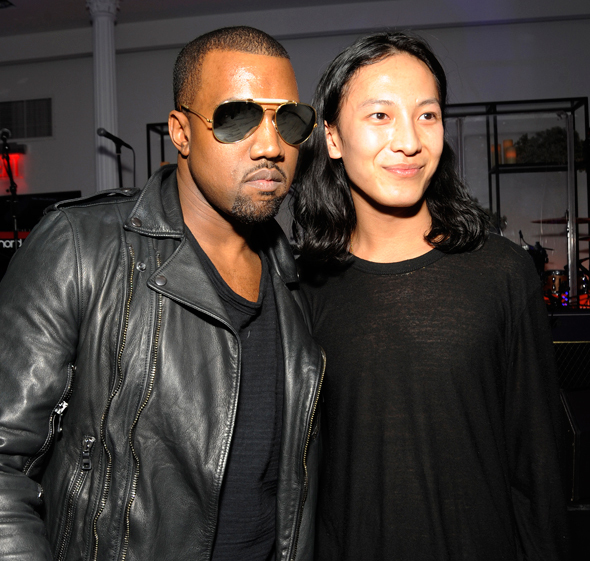 This prevalence in the media, pictured next to famous celebrities such as below, with Kanye West, Kate Bosworth and Rihanna has built an industry name for Wang as an active socialite. Wang can be found using more Asian models than Miyake, though still predominantly uses white Caucasians. I find this interesting as both designers actively associate with their Asian heritage and this is evident in their designs and yet there is a culture in fashion with imagery. It seems as though we are moving towards a more homogenous fashion world as each style is gradually becoming more intertwined with the next. I would like to look further into this observation, and discover what appeals to consumers and how does this affect our lives? How is it different throughout Asia, considering there is such a huge market for luxury items, such as Miyake’s and Wang’s products? Why do these designers appeal to certain individuals? Is culture an accurate term to use or does it need to be refined? I found it interesting that these designers use White Caucasian models. I suppose it just highlights the globalised world we now live in, knowing that people from all over the world have access to fashions from all over the world, as well as the fluidity of fashion in its ability to be appealing to people living in very diverse cultures. Its interesting to note that they use white Caucasian women for their runway shows when the designers are of Asian decent. It really highlights the fashion industry and how narrow minded it may be. It really shows that there is usually the same image that every designer looks for (even Asian designers like Vera Wang). I would assume that living in an Asian country there would be a higher quantity of Asian models over Caucasian models? Although, I could be wrong. This does highlight the globalization of our world and how everyone mixes with everyone now rather than being segmented.